Commercial drivers could plead guilty and pay their fines like any other drivers, but in doing so, they must consider two important things. First, they must inform their employers within 30 days of receiving any traffic citations, regardless of the vehicle they were driving at the time. Last, they must remember that certain offenses result in more serious penalties than fines, points, and higher insurance â€“ they may result in Commercial Driverâ€'s Licenses (CDL) being disqualified. Commercial truck drivers have an even greater risk when receiving a traffic violation because their livelihood is dependent upon a clean driving record. It is important to seek legal representation regarding any type of traffic violation. The Traffic Attorney at A. Bishop Law understands that although CDL disqualifications will not suspend a driver’s regular class C license, having your commercial privileges withdrawn can literally affect your livelihood. This is because the Federal Motor Carrier Safety Administration (FMCSA) mandates CDLs be disqualified for a number of reasons, including Major Traffic Violations, Serious Traffic Violations, Railroad Grade Crossing Violations, and Out-of-Service Order Violations. – Causing a fatality through negligently operating a CMV. – negotiate a crossing because of insufficient undercarriage clearance. Out-of-Service Orders are temporary withdrawals of CMV operation privileges imposed against the driver, or even the vehicle itself. 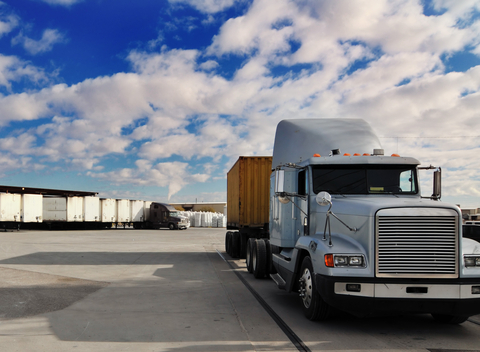 Out-of-Service Order Violations must also occur in a CMV to result in a disqualification. While an Out-of-Service order against a driver for having any measurable amount of alcohol in their system lasts 24 hours, an hours service violation against a driver only lasts 8 hours. A 1st conviction will result in a 180 day disqualification, a 2nd within ten years will result in a 2 year disqualification for non-hazardous materials, or 3 year disqualification for hazardous materials, and a 3rd or subsequent conviction within ten years will result in a 3 year disqualification. In addition to disqualification, Out-of-Service Order Violations come with at least $2,500 for a 1st conviction, and at least $5,000 for a 2nd or subsequent conviction. – driving a vehicle designed to transport 16 or more passengers, including the driver. In addition, a new FMCSA rule makes it illegal to use all hand-held mobile devices by CMV drivers. This includes holding a mobile device to make a call, dialing or pressing more than a single button, or even reaching for the device where reaching requires the driver to maneuver so that they are no longer in a seated driving position, restrained by a seat belt. CMV drivers can only use a hands-free phone located in close proximity while driving. Fines for violations can be up to $2,750 for the driver, and up to $11,000 for employers who allow or require drivers to use a hand-held devices while driving. The Traffic Attorney at A. Bishop Law can help you keep your livelihood intact. We can often negotiate plea bargains, or have the charges reduced so that you avoid the disqualifications and some potential embarrassment. We will fight for your right to stay on the road, and continue to earn income. Our attorneys work hard so you can keep making a living. Areas We Serve: In our experience, local knowledge is crucial to a Speeding Ticket or Traffic Violation Defense, so we are up front about the areas where we handle cases. To be effective, a Traffic Ticket Lawyer must be familiar with the court, the judges, and the prosecutors of your case. We believe we can best serve a client with any type of traffic violation in Hall County, Flowery Branch, Oakwood, Jackson County, and Helen. We have been there before and know what we are doing.